We believe recruitment is the best job in the world, we must be mad, razor blades and champagne is not for everyone. If you would like to make a difference then join this crazy bunch of talented recruiters. A crazy, exciting team environment with years of experience to offer. The people industry is extremely unpredictable, delivering in this market is not for the faint hearted. Many have tried and failed. Tapping in to your potential is our speciality, empowering capable recruitment consultants to use thier natural talents. A realistic and achievable bonus structure which is fair and transparent. If you are an experienced recruiter and looking to make your last move, we want to hear from you. Occasionally we employ people who we believe have a future in recruitment, thankfully we identified this in Tia and Sophie, both of which are valuable recruiters in our business. If you have skills that you think fit with our business values, come and talk to us about why moving to mpeople may be the right move for you! Remember razor blades and champagne is not for everyone. Email careers@mpeople-recruitment.com or contact Liz on 07962648205 for a confidential chat. You can view our current internal vacancies below. mpeople Recruitment Ltd, part of the Major Group family, are currently in an exciting growth period and are looking to expand their teams on their permanent desks. 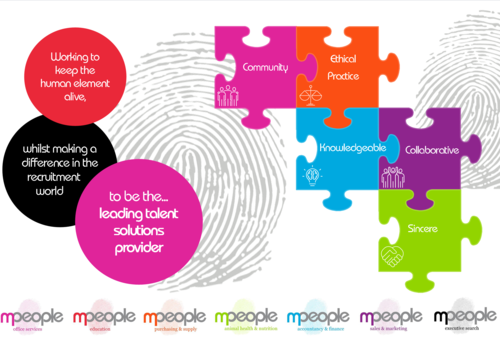 At mpeople we pride ourselves in operating in a thorough, ethical and honest approach with our candidates, clients and last but not least our mpeople employees. Our Animal Health & Nutrition division are looking to recruit an additional member of the team to drive further successful growth. Our successful new member of the team will be from a recruitment background or an animal health and nutrition sales background. As part of your new role, you will develop long lasting relationships with clients and candidates who specialise in your animal health and nutrition vertical. You will take on a varied approach to your recruitment to identify job opportunities whilst sourcing, and interviewing suitable candidates. You will manage your candidates and clients needs from inception to completion, which will result in success for the client, candidate and yourself. A background in recruitment or background in animal health and nutrition sales. A self driven passion and enthusiasm to succeed. A tenacious and can do attitude. Demonstrable track record of achieving targets. A thorough and organised work attitude. A desire to make a difference in the recruitment world to benefit clients and candidates. If you can deliver a consistent revenue performance whilst being trusted to act autonomously then we can offer an excellent career path and long-term prospects. Our Leeds office is located just 10 minutes from Leeds City Centre with onsite parking. Our company offer a competitive salary, Bonus scheme and Pension. Alexandra@mpeople-recruitment.com 07557924332 to discuss the opportunity further. Are you an experienced Recruitment Consultant, ideally within Commercial /Office Services? Do you like being given autonomy? If you want to work for an established and secure company and would like to be part of our ‘family’ then this could be a great opportunity for you. The basic salary is negotiable along with uncapped commission and many benefits including: 25 days holiday, social events and charity fundraising . On going support, autonomy, working in a positive environment and will be able to decide on your future career within the organisation and your potential earnings. Please contact Sharon Walsh: sharon@mpeople-recruitment.com or 01204 913998 to discuss this opportunity further.